Alexander Scriabin was a Russian composer born in 1871. He became enchanted with 15-year-old Natal′ya Sekerina, but her parents forbade the union. Their subsequent friendship, which lasted for several years, was emotionally painful for Scriabin. It was around this time that he composed his twelve Op. 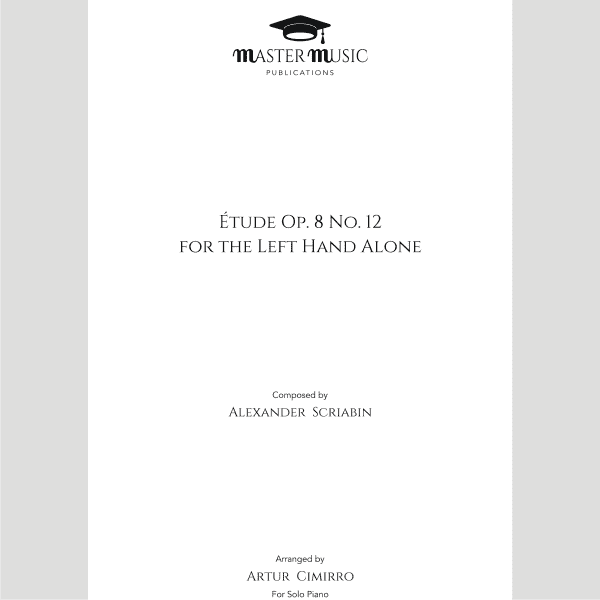 8 Études, which demonstrate his advancing mastery in keyboard writing and his musical sophistication. 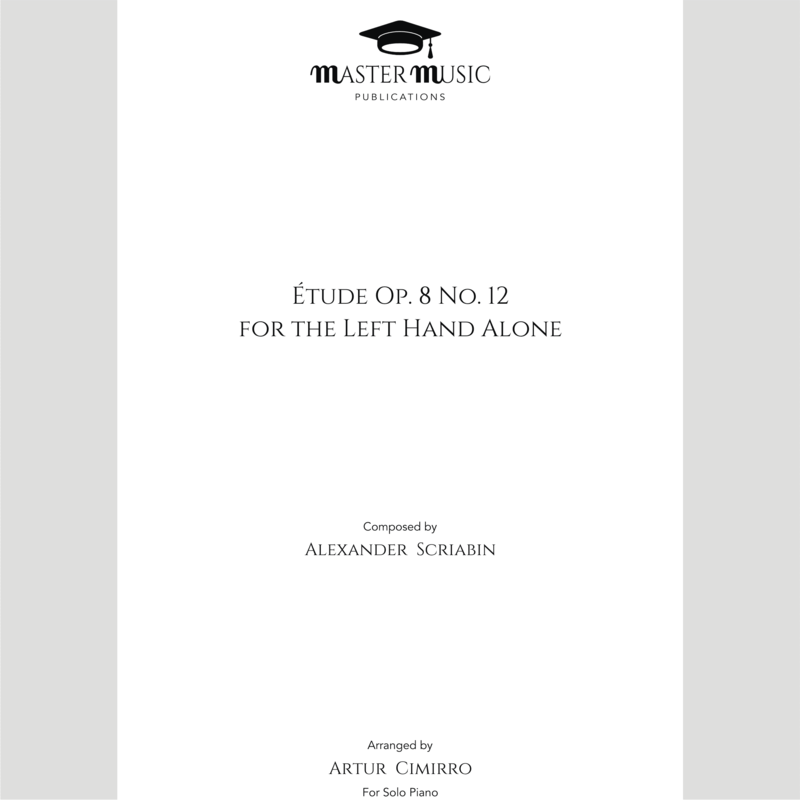 Arguably the most famous Etude, No. 12 in D sharp minor opens with a powerful sense of agitation and frustration; This mood is then replaced with a subtly consoling melody, until the desperation returns with an ever-increasing sense of yearning that leads to an outburst of repressed anger. 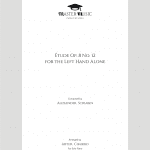 This originally two-handed etude has been arranged for the Left Hand Alone by Cimirro, while retaining Scriabin’s rich harmonies, varied dynamics and inner voices. Cimirro wrote the Left Hand Alone versions of the Scriabin Etudes for two reasons: First, he noticed that the same musicality and quality could be perfectly retained within the special “new Étude”, similar to Godowsky’s, which explore new techniques and sound. Second, so many pianists play this Étude with both hands that he wanted to differentiate it for himself; He did not merely want to repeat the standard interpretation (as often happens with some pianists) or build another interpretation which would most likely never receive public attention.